Pancakes are a beautiful thing. Breakfast or dinner, buttermilk, whole wheat, flavored, ricotta—they’re always delicious, filling, and somehow comforting. They’re also very forgiving. Many recipes (particularly ones that use baking ingredients) can be finicky, needing exact measurements and careful combining to yield a good result. But not pancakes. I roughly measure ingredients when making pancakes, but never get worried about being precise. The batter feels too thick? Add a little more buttermilk. Feel like a little flavor? Add a big spoonful of apple butter or some lemon zest and juice. The variations are endless, and a batch can be thrown together in five minutes. 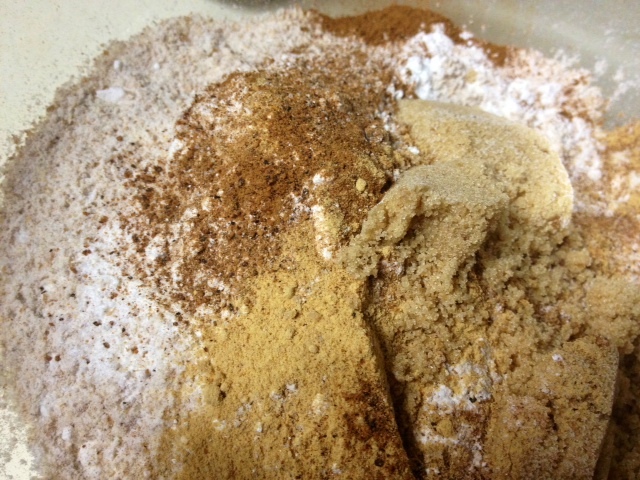 Whisk together the flour, baking powder, salt, ginger, cinnamon, nutmeg and brown sugar. The recipe says to combine all the wet ingredients first, but I’m too lazy for that. 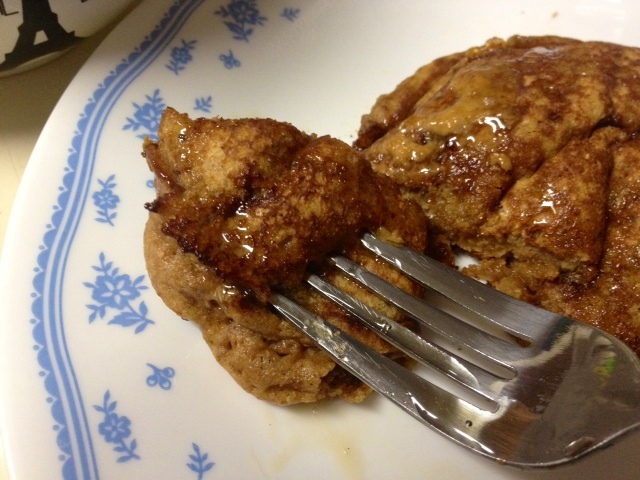 I just went ahead and added the egg, molasses, milk, vanilla, and melted butter, and stir together. Don’t over-stir, just stir until just combined. My molasses had crystallized a lot, and so I had these delicious little molasses crystals all throughout my batter. If you have a cast iron griddle, I’d recommend using that. I wasn’t terribly happy with the way my non-stick skillet cooked the pancakes (it kept scorching them). But use whatever you have. 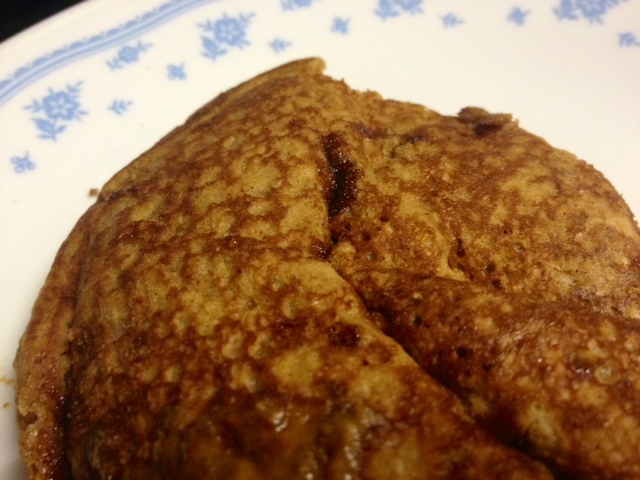 When there are little bubbles in the batter, flip the pancake. Mmm, you can still see those little molasses crystals. Serve as desired. 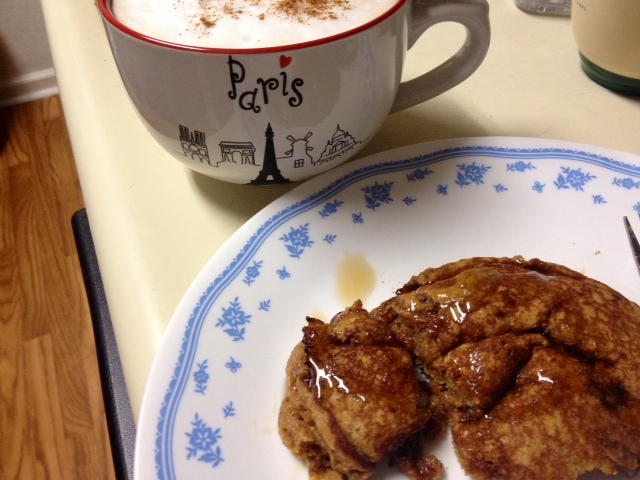 I just drizzled a little syrup on them, trying to keep calories and sugar down. The original recipe on Cookie + Kate (linked below) includes an orange cream cheese you could use as well (and would be delicious!). 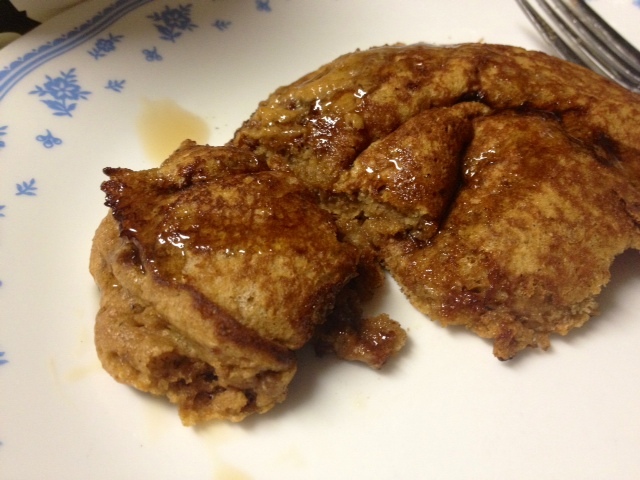 These made great leftovers as well, filling and lightly sweet. I toasted them for breakfast at work. In a medium bowl, whisk together the dry ingredients—flour, baking powder, salt, ginger, cinnamon, nutmeg and brown sugar. 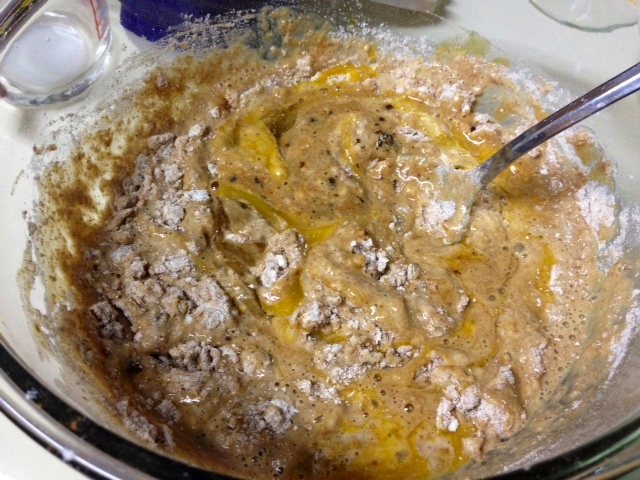 Add the egg, milk (I used buttermilk), molasses, vanilla and melted butter. 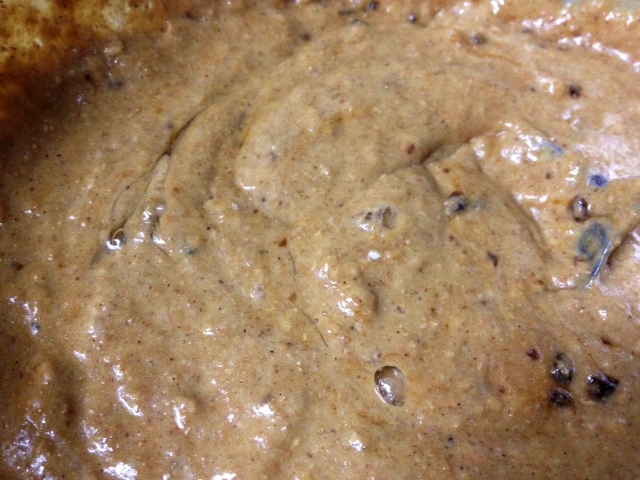 Stir until just combined, adding a little more milk if needed to get the right batter consistency. Heat a griddle, cast-iron pan or non-stick pan over medium-low heat. It’s hot enough when a drop of water sizzles against the pan. 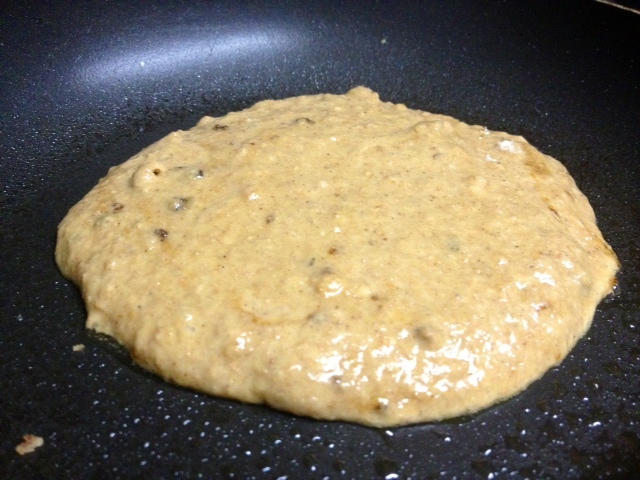 Grease the pan with a pat of butter or non-stick cooking spray. Pour or scoop about 1/3 cup batter into the pan. Flip when the perimeter of the pancake is no longer shiny or little bubbles appear (these ones aren’t as likely to get bubbles). Serve immediately or toast or microwave to reheat (these made great leftovers).